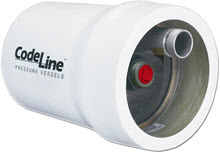 CodeLine 80E 8" End Port FRP Pressure Vessels Housings | Applied Membranes Inc. 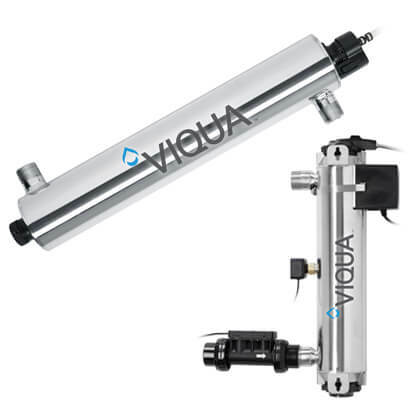 The 80E Series Membrane Housing is designed for continuous, long-term use for Reverse Osmosis and Ultra-Filtration applications in typical industrial and commercial water treatment systems. Shell Construction: Filament wound epoxy/glass composite. Head locking grooves integrally wound in place. Shell exterior coated with white (or blue) high gloss polyurethane paint.